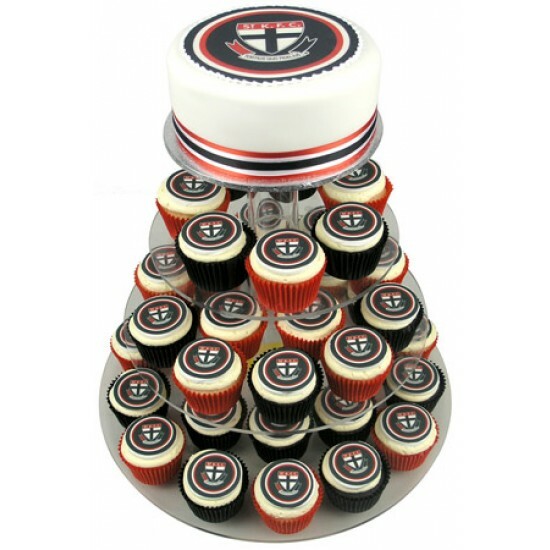 This AFL Football Team Cupcake cake is a footy fans delight. 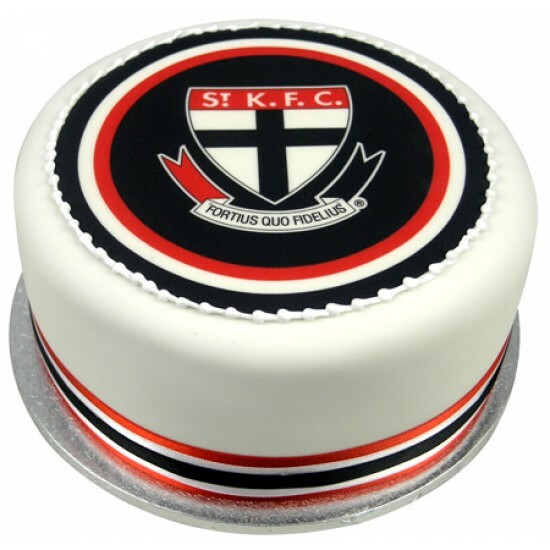 A 15cm cake is customised with your teams colours and 40 cupcakes are topped with your footy team's emblem. This AFL Football Team Cupcake cake will lift your party to the top of the ladder. It's a footy fans delight. The top of the tower comes with a 15cm cake with an edible image of your football team. The cake is customised with ribbons in your team colours. 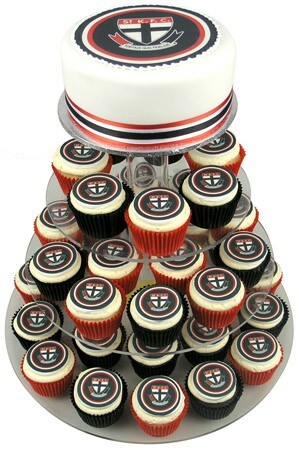 40 cupcakes (available in Vanilla or Chocolate flavour) come topped with your footy team's emblem and colour co-ordinated cupcake cases.